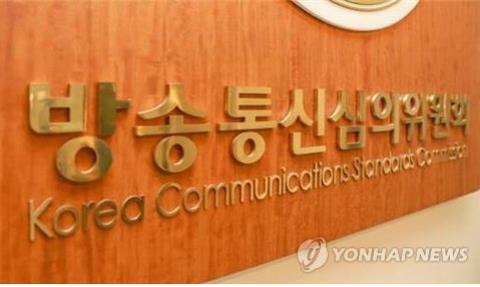 SEOUL, Oct. 11 (Yonhap) -- The number of broadcast programs reported for violating relevant regulations and reviewed by the communication watchdog nearly doubled this year, government data showed Thursday. According to data from the Korea Communications Standards Commission (KCSC) that has been submitted to the National Assembly, 170 TV programs from the country's three broadcasters -- MBC, KBS, and SBS -- and six cable channels were reviewed for possible violations between January and September of this year, up from 91 cases reported last year. The agency recommended administrative measures be taken against 136 cases and issued cautions in 25 cases. A further six received a warning and three were referred for disciplinary action, the data showed. The latest findings by the KCSC showed that 82 of the programs were aired by four general cable channels, 79 by the three broadcasters and nine by two news cable channels.